While Timothee Giet is working on the next Krita training video series — and it’ll all be about animation! — we’re cutting the price of our existing training videos! 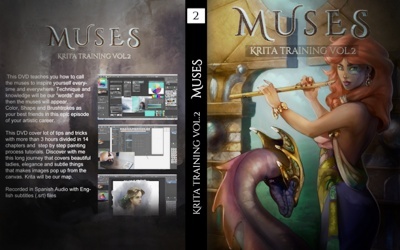 Muses, still one of the best introduction to digital painting in general, and to Krita in particular, is now available for only €14,95! 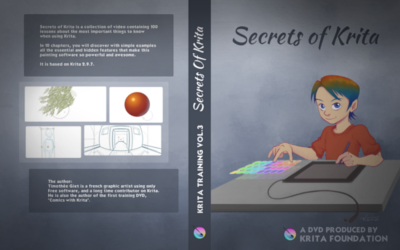 And Secrets of Krita, full of in-depth hints, tricks and tips on how to get the most out of Krita is now also… only €14,95! You can also get these downloads from our gumroad shop! 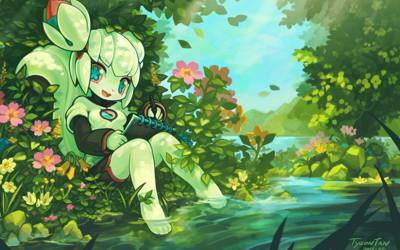 Or you can get both training dvd’s and the latest version of Krita for Windows, OSX and Linux on a cool credit-card sized USB stick, showing off spring Kiki.